I’m back from Utah. I had a great trip, and I have many things to tell you about. But, tonight is about sleep, laundry, unpacking and general clean up. My numerous photos and tales will have to wait. 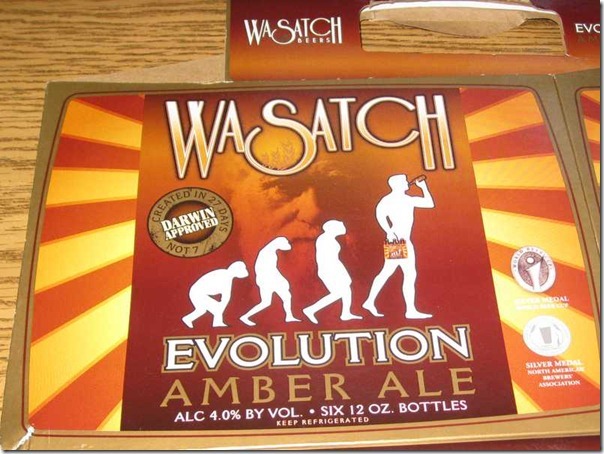 Instead of a post about the trip, let’s quickly talk about beer. I don’t drink much (maybe one drink a year), but I’m around people who drink socially pretty often. 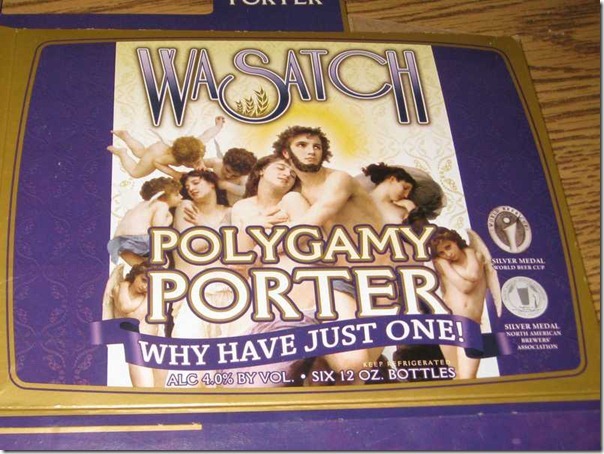 Someone purchased some beer for our trip while we were in Utah. Check it out! In honor of the natural history museum, this one was purchased. 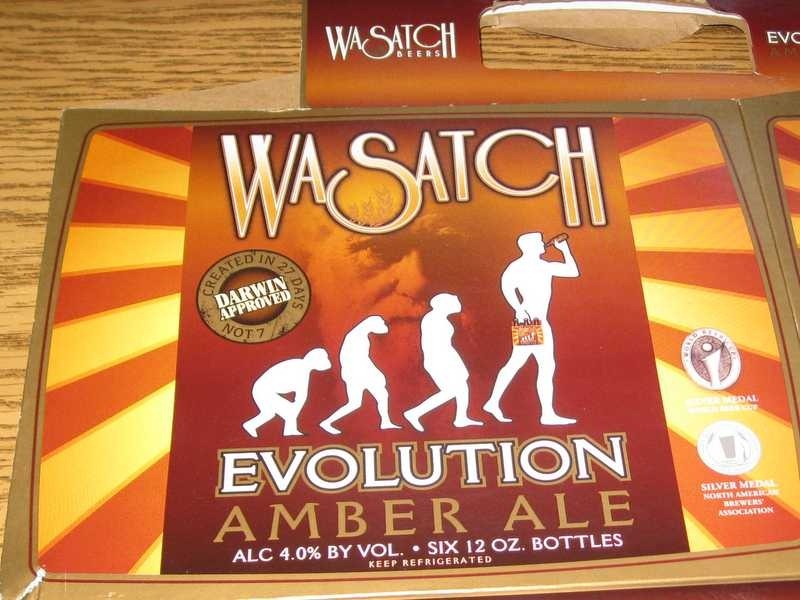 Noticed the “Darwin Approved” and Created in 27 days, not 7”. 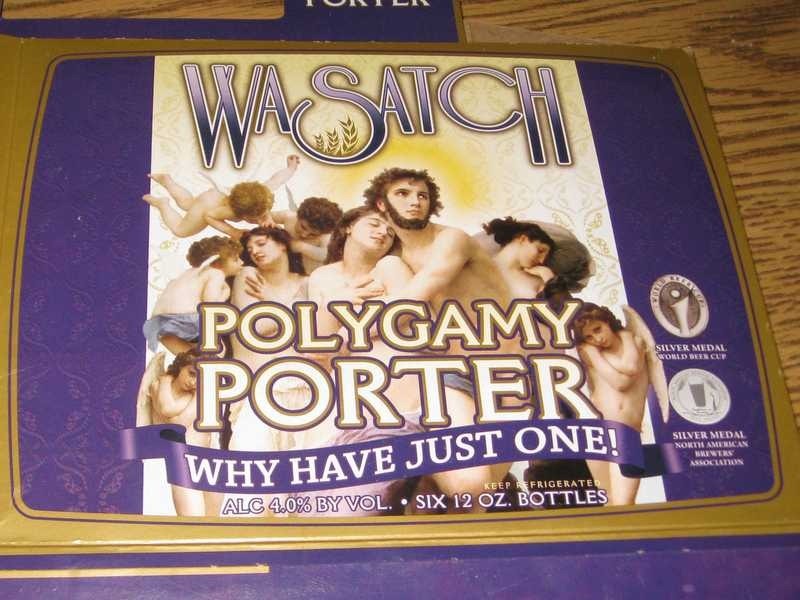 Then, we have Polygamy Porter. Keep in mind, we were in Utah. There’s nothing more to say. We all got a laugh out of the beer choices. Apparently, they were both good, too. I’m hoping for a solid night sleep and a relaxing Friday.